New Delhi: Asserting that there will be "zero tolerance" on air safety issues, Civil Aviation Minister Suresh Prabhu has said the aircraft with engine problems will remain grounded till the issues are addressed. 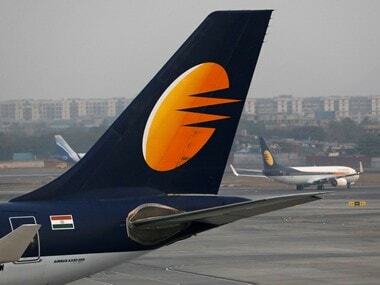 His remarks came against the backdrop of aviation watchdog DGCA grounding 14 A320 neo planes, operated by IndiGo and GoAir, due to problems with their Pratt & Whitney engines. "Pratt & Whitney has done some retrofitting, which has resulted in some challenges in engines. 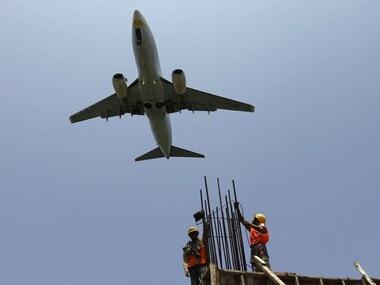 So, when I became the (civil aviation) minister, it was pointed out to me... I said this is too risky because safety should not be compromised on any account," Prabhu told PTI in an interview. 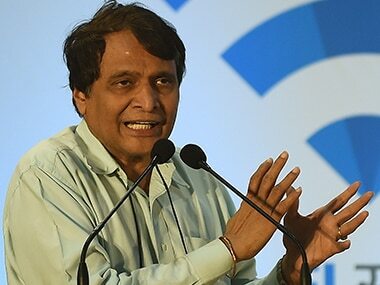 Prabhu, who took charge of Civil Aviation Ministry on 12 March, noted that safety should not be compromised on any account. On the same day, aviation regulator DGCA ordered IndiGo and GoAir to immediately ground 11 A320 neo planes powered with a certain series of Pratt & Whitney engines after incidents of mid-air engine failures. "Let them rectify this error and till that time they will be grounded and we called the airlines and told them to make alternate arrangements," Prabhu said. "By doing this, we are ensuring that there will be zero tolerance on safety issues," he said, adding that the engines will be required to be certified again for air worthiness. While 14 planes were grounded by IndiGo and GoAir last month due to engine issues, some of them are back in operation after being fitted with spare engines from Pratt & Whitney. 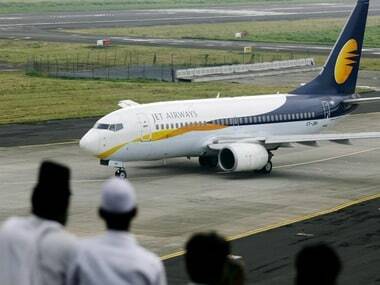 Following the grounding of aircraft, there has been a significant number of flight cancellations by the two carriers. According to the minister, the situation is more or less stabilised in terms of disruptions. About regional air connectivity scheme UDAN, Prabhu said funds are not an issue. The funds are coming by way of cross-subsidisation, "so there is no problem," he added. UDAN (Ude Desh ka Aam Naagrik) seeks to connect unserved and under-served airports as well as make flying more affordable for the common people. Towards providing viability gap funding for carriers participating in the scheme, the government is collecting levy from airlines flying on major routes. Various other incentives are also extended to the carriers under UDAN.